Summary: The primary goal of any business or any investment by a business is to grow. They want more clients, more volume, higher revenue, and larger profits. These organizations can maximize revenue by creating a roadmap for integration, explore new vendors, and prepare for new trends. Technology-driven changes rock industries every day. The best way to combat these changes is to stay up-to-date with the latest movements in the industry. When you are paying close attention, it isn’t hard to predict new technologies ripe for adoption. Technology will only take you so far. To make the most of your supply chain, you need the right partners and vendors. Evaluate your relationships with existing vendors and explore others in your industry. Another vendor might provide more value regarding visibility. A single review of the organization will highlight technological gaps that you need to fill. However, a roadmap on how and when you will address these shortcomings is critical to maintaining competitiveness in the industry and ensuring implementation. handle all aspects of the implementation including vendor compliance. Summary: The large-format video display format has made its way into today’s modern command center design. Today’s command center incorporates a substantial amount of technological pieces like video display walls, control center consoles, and other situational management systems to increase the amount of productivity a team can provide to an organization. 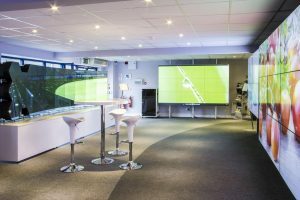 When it comes to video displays, just like in households, they’re dramatically larger, better quality, and cost much less than they used to in the past. Because of this, command centers are now making these large-format displays a staple in today’s facility design. There are numerous critical design aspects that should be considered prior to starting on the design itself. For instance, designing large-format displays requires a true understanding of the command center environment along with how the organization will utilize these displays. For instance, if you choose to go with an outside designer like Constant Technologies, Inc. to handle your design, you’ll want to provide them with all the necessary information about what your organization is, what it does to maintain productivity, and how this command center design can be of significance when it comes to situational awareness. It’s crucial to understand how the displays will support the concept of operations, who will view it, and what specialists will control it. Remember, these displays are a tool and they need to be utilized appropriately to ensure maximum efficiency. Additionally, determining where the display is located isn’t as simple as finding an empty area on the wall. Understanding sight lines, refraction, light levels, acoustic attributes, and other factors all add up to how the display will run. For instance, placing a display in a random area could result in glare and reflection from neighboring windows which isn’t just a nuisance but also hurts the overall productivity coming from your team. Summary: EDI implementation benefits buyers and suppliers. Suppliers will see increased operating efficiency, more business opportunities, error-free invoicing, faster payment, and reduced paperwork with EDI. While there are many benefits of EDI for all parties, the primary goal was to streamline and simplify the exchange of business documents from one party to another. Most studies and documents highlight the broad appeal of EDI implementation for larger companies and vendors. However, even small businesses and trading partners can benefit from pre-emptively implementing EDI. In much the same way that a buyer benefits from the operating efficiency of EDI, suppliers stand to benefit as much or even more. The complete removal of manual data entry and errors resulting from human error alone can justify the cost. The use of EDI will open up access to buyers and level the playing field with much larger suppliers. There will be equal opportunity when bidding for contracts. Switching to EDI will speed up invoicing and fund transfer, reducing the time to invoice and removing payment delays due to incorrect paperwork. With increasing levels of integration, invoicing may be eliminated entirely. The reduction in paperwork extends beyond data entry, orders, and invoicing. EDI offers a single point of entry, making bids and qualification for trading partner status with large buyers easier and faster. Written by Act Data Services, Inc. 1-800-ACT-DATA. Managed services and electronic data interchange software experts. Often an instant employment background check is the only answer when you are hiring in a hurry. Here are some details hiring personnel need to know when conducting instant background checks. Are there issues with database gaps and latency? – It is important to note that there is no centralized data base that stores information relating to crime, employment, and motor vehicle record history. Most home grown data bases often contain outdated information that is not complete. What impact will an instant background check have? – Instant background checks will provide all information on a candidate with the same name. Therefore, recruiters will have to weed through all of the information to identify what information is accurate. Is an instant background check instant? – Although most instant background checks are fast, the turnaround time will greatly depend on the package you order. When choosing a company to conduct an instant background check, Tenant Screening Services, LLC suggest considering how long a background check will take and what screening packages are on offer. It is also important to consider quality as all background checks are not equal. Therefore, look at the package that presents the best information that will aid your hiring decisions. A good package will minimize the work on hiring personnel by offering the most accurate information with a screening summary of applicants. Summary: Cyber attacks are one of the most dangerous threats for any small business. Keep your SMB safe with these tips. While small- to mid-sized businesses might not have the luxury of hiring the most expensive form of information technology security, they still face the same threat that many large-scaled businesses do. To make matters worse, small businesses are often targeted by cyber criminals because of this lack of security, making breaching networks a much easier task. There needs to be a conscious effort by the business manager and IT manager to ensure that active security controls are in place. Additionally, these security controls must include both a back-up and disaster recovery plan for when an attack does occur. Anything can happen to a business – floods, earthquakes, thieves, and even the inside threat. Automate the back-up process and always prepare for anything that could potentially erase the physical data that you have for your clients. Plan for disruptions that could potentially last for weeks if not months and always test it to make sure it’s viable – an outdated security plan could put you in a bigger hole if you’re not careful. 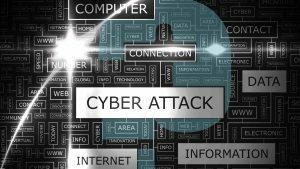 It’s crucial to train you employees about the nature of today’s cyber-attacks. While many think that these criminals only go after the large-scaled businesses, it’s simply not true. It doesn’t matter what type of business you are, if you’re susceptible to attack, you bet these hackers will try everything they can to steal information, erase data, or even manage to get away with some of your funds. 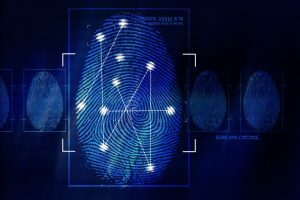 Many cyber-criminals target small businesses to compromise the computers that they use for banking and payments to commit fraud while emptying out one’s business account. Never take these crooks for granted. They’ve delved into some of the most advanced type of hacking techniques that can crack even the toughest security measure. Blog submitted by Constant Technologies, Inc.: In need of an experienced control center manufacturer? 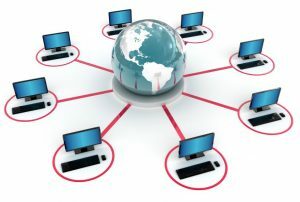 Consult the professionals at Constanttech.com for all your IT needs. Whether it’s an LCD display wall or a custom control center, Constant Technologies, Inc. can do it all. Summary: The product page is the most important page on an e-commerce site. Proper product titles, an enticing call to action, impactful images and search friendly descriptions are a few of the essential elements on the page. CTA – The call to action is what drives the visitor to make a decision. Everything from color, size, and font affects how a user would respond. Look at how some successful players like Amazon style their call to action and experiment with how it works for you. Image – The element with the biggest impact on the purchasing decision is the product image. The right product image is in itself enough of a catalyst for a visitor to make an immediate purchase. Also, try and have as many additional pictures of the product, from different angles, on the site. Description – The product description should be long enough to describe the product accurately and short enough that people will read it. Also, you should optimize the description for search. Written by SecureNetShop.com. Avoid all the hassles and potential security issues when you use the best cheap shopping cart online. Summary: Hiring the people can make your company more productive, lucrative, and efficient. Adding members to a team at a company requires both skill and luck. Sure, you’re going to interview dozens, if not hundreds, of individuals looking to work at your company, but choosing the right one takes time. You’ll need to take a look at every aspect that the interviewee showcases and determine whether or not he or she fits the bill, so to speak. It’s a time-consuming process but here are some tips that can help you get started. Interviewees must convey themselves in a way that seems natural to you. Ask them questions that break them out of the normal “scripted” conversation that they tend to have with other companies. Have them showcase what they know to you so you can see them in action. Words are convincing and deceiving at the same time. You could hire an individual that looked great at the interview but contributes little to nothing to your company. This is where your judgment call lies. Pick and choose carefully, or you could end up losing money in the long run. Every applicant must be subjected to criminal background checks and such. It’s a critical aspect to see what the applicant’s background is – whether he or she was irresponsible at one point in time. Now, this doesn’t mean completely skip over the interviewee, just be prepared to share your concerns about what you find with the applicant. This way, you can be upfront with the individual and he or she can be transparent and explain how he or she grew from that situation. One event doesn’t make a person. There are tons of people that have made a mistake when they were younger but matured through it and grew into a responsible adult. Address this situation with the person and let them know in advance whether or not they are suitable for your specific environment. Don’t waste yours and their time. Similar to tenant background screening services, you can easily find these background check systems online. Many companies make it simple for you to perform background checks on numerous clients without having to go the extra mile. And, many of these background checks aren’t even that expensive. Explore your options and find a reputable company that can do it for you. This way, you’ll know that you’re using a system that other business owners are using as well. A little research can go a long way. Bio: Tenant Screening Services, LLC can help perform the finest tenant background checks for your rental business. Visit them online today for more information. The biggest advantage is cost. A hosted shopping cart is set up and maintained by the provider. There is no installation, security, and database backend cost. Each step installing a self-hosted shopping cart comes with costs in addition to monthly charges. There are estimates of as much as $1000 saved per year by using a hosted solution. Getting up and running on hosted online shopping cart software takes minutes. Sign up and the system is ready to use. It does not require technical knowledge and is easily customizable. In addition, the platform of the website is not important, a cart can be added to any website on any platform. 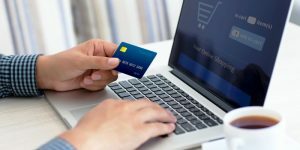 One of the biggest concerns for any online e-commerce operation is security. Any breach or loss of customer information would be extremely damaging. Hosted carts use secure encryption for the information between the customer’s browser and the server. In addition, safeguards are in place for protecting customer data on the server. 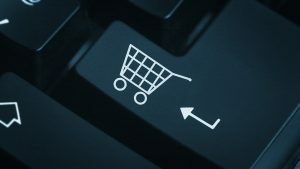 Add the ability to sell goods or services from your website with e-commerce shopping cart software from Secure Net Shop. Employment screening is a routine part of the hiring process, but it also demanded a lot of time for employers. Background checks can be costly, and one used to have to wait for the results for days or even weeks. Today, technology has accelerated this process exponentially and here are just a few of the methods currently in use. Most pre employment checks involve a glance at the candidate’s Internet results and social media. This helps employers get an idea of who they might be meeting with, but isn’t a substitute for a full background check. The Web simply helps expedite the decision of whether a candidate should attend an interview. The resume may look appealing, but it wastes everyone’s time if the candidate wouldn’t be a good fit for company culture. Social media posts are an effective means for determining whether a candidate has the right mindset for the job. Nowadays, a great deal of information that is publicly accessible is stored in databases. Paying for criminal background checks is essentially querying these databases. We know, from sites like Google, just how fast it can be to query a database and get results (Google’s search results are nothing more than a display of URLs and other information stored in a massive database). If you needed to make a hiring decision rapidly, querying a database would give you all the information you needed on a candidate to make an informed decision. For just a few dollars, employers have access to this information and can even check multiple databases for accuracy. Thanks to better data collection, a more detailed profile of the candidate is built. When an employer requests that background, a more complete picture is formed. Further, databases may have flagged other potential risks (such as the Federal Terrorism Database) that would have been difficult to locate even a decade ago. 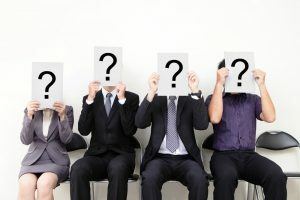 Because data collection and delivery has gotten better, it’s much easier to query a range of databases to provide a more complete picture of who the employer is hiring. Technology has greatly improved the efficiency of the criminal and pre employment background check. Employers can now make better informed decisions about the candidates they hire, and the costs for doing so are low. Screening employees isn’t usually a federal or state law, but it is part of responsible hiring practices. Know more about the people you hire, and preserve your company culture. Tenant Screening Services, LLC offers employment screening with driving records and a check against the Federal Terrorism database.